California is a beautiful place to make your home. It’s also an expensive place to buy a home. The Golden State’s median home value is $429,000, and if you’re renting, you’re paying an average of $1,900 per month. That makes taking care of whatever home you’ve got especially important in a state like California. 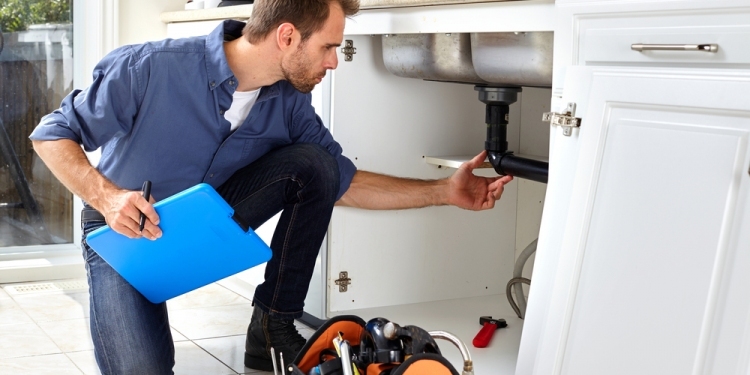 Home maintenance is critical, but calling a plumber can feel like a hassle. Thankfully, it gets easier if you know some warning signs that the plumbing in your home isn’t quite right. Here are three signs that you should call a plumber. If your drain is working properly, then the water should swirl down the drain quickly and without any trouble. It should only take a matter of seconds. But if you wash your hands and notice that the water is just kind of hanging out in the general vicinity of the drain, that means your sink has a problem. In some cases, you can clear out the drain yourself, but you shouldn’t wait to do that. A sink plunger can work in some cases, although you should know that a sink plunger looks different than a toilet plunger. Don’t use a toilet plunger for a sink clog, and vice versa. If that doesn’t do the trick, you should go to the hardware store and get a drain snake the day you notice that things are draining slowly. The longer you wait, the bigger the clog can get. If the clog feels too big, it’s time to just call a plumber. California has plenty of options available: the population of nearly 40 million means there’s also plenty of plumbers. You should be able to find a plumber in Walnut Creek as easily as a plumber in Santa Barbara. When you flush the toilet, you don’t expect to hear much beyond the sound of flushing. But sometimes you might hear an odd clanging noise in the wall directly behind the toilet. There could be a few reasons for this, including a pressure buildup in the pipes. There might also be an issue with the water pressure. Sometimes, even the pipe material could be the source of the problem. If this only happens once, it might feel a little too soon to contact a plumber. Occasionally, an issue can resolve itself. But if it repeats, then you need to address the issue before it gets worse. Contact a reputable plumber, and they’ll be happy to come out and figure out what the cause of the noise is, as well as the best way to silence it. This may feel like an obvious one, but surprisingly, some people see a burst pipe and they panic and try to address it themselves. But we’re not at our best when we panic. If a pipe burst and water is flooding your house, you need to find the main water valve and turn it off. Remember that can be hard during the middle of an emergency, but it’s really one of the only things you can do before the plumber arrives to take a closer look at things. In winter, pipes can burst because of freezing weather. Pipes can also burst for other reasons. If there’s a shelf above a shelf in the bathroom, something could fall off the shelf and hit the pipe at exactly the right angle to cause a break. That might signal a problem with the pipe quality, especially if you live in an older house. Once again, a plumber can do a better job at solving the mystery of the burst pipe than you can — don’t sit around and try to figure it on your own. Getting answers from a qualified expert is always a better bet than making a wild guess.